First of all, I am only a beginner knitter/crocheter. I am still really learning about yarns. At the Waldorf crash course I attended, we were encouraged to use natural yarn instead of acrylic/synthetic ones but since I would be practicing first, I thought I could go the acrylic way first. But where does one get yarn here in Manila? 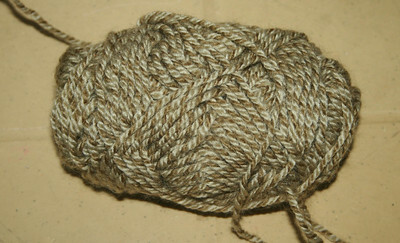 More specifically, the worsted weight kind used for arts and crafts as well as beginning crochet/knitting? 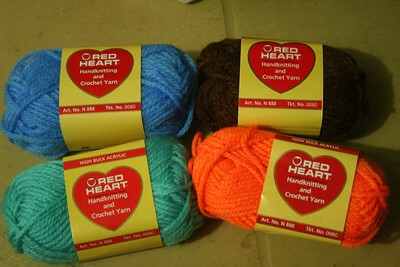 The crafts shops along Tabora Street/Ylaya in Divisoria sell local worsted weight yarn, the most popular brand being the Red Heart one. You can get a 35 meter roll for the price of P10-11. The local Red Heart brand will sell for P19 at National Bookstore, on the other hand. 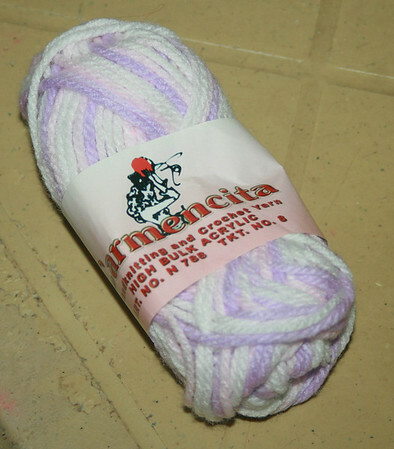 Of the local yarn I have tried (and I have tried 4 different brands), I prefer the Carmencita brand from Divisoria (I haven't seen them anywhere else) because it's the softest one and pills the least. 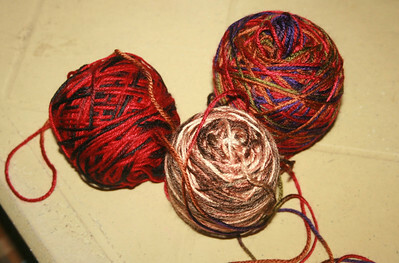 I have a maroon ball that I have practiced knitting on again and again and it still works like a new yarn. It's also the thickest and works very well with a 4 mm crochet hook. That being said, the local Red Heart is the most common and easily bought since you can get them at National Bookstore (either in the hobbies section, or in a basket near the gift wrapping section). I've found the multi-color ones to be slightly thicker than the solid colored ones. 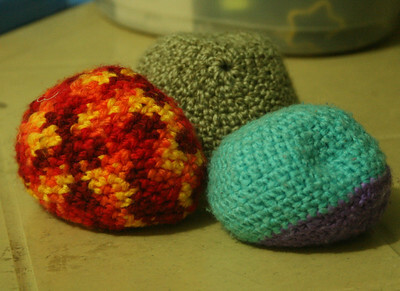 The multi color ones work great with a 4 mm crochet hook but the solid color ones work best with a 3.5mm hook (at least, if you're making hacky sacks, the project I practiced on). So, the Dreams shop at Glorietta 5 (located at the 5th floor) is really where to go if you want specialty yarn or yarn by the bulk (after all, it does get annoying having to crochet through knotted yarn, and sometimes, you end up wasting more yarn if you're using small rolls). They sell the local Red Heart there in 3 sizes (the small rolls in packs of 6, the medium ones in packs of 3 and the big rolls) and they also sell imported Red Heart (the way to go if you don't have a budget for natural yarn but also don't want a lot of pilling in your work). I have also discovered that Red Heart economy packs sold at National Bookstore (P380) are more expensive than if you buy from Dreams (P345)... but if you buy them abroad, they only cost P145-215 (when converted) so I have tasked my sister to just buy for me since I really don't have any urgent need to stock up asap. 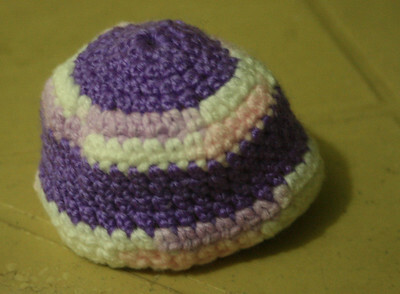 One good thing about Dreams though is you can enrol in a knitting/crochet class there. For only P800, you will have the luxury of having the owner teach you how to ake sense of yarns and patterns and master strokes and stitches. She handles the class between 1:00-4:00 PM every Mondays to Fridays. You don't need to come everyday and the fee covers guidance for life. Isn't that neat? :) Plus, the staff there are just really helpful and warm... but space is limited. When I went there and a class was going on, I felt intimidated by all these really older women making lace. Hehe. 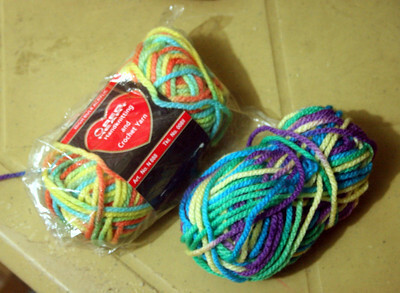 What else can you do if you want better yarn and you're from Manila? I found an Ebay supplier of 100% wool yarn that sells them cheaper but I haven't ordered from him yet because I was wisely advised that wool, for children's things, would be too hot for our climate. Plus, i'm not sure if the package will be delivered on my doorstep or if I'd have to get them from the post office. Just search for seller onewor1donedream2010 on Ebay. I got my crochet hooks from them too (14 different-sized ones, and I love them) but they were shipped to the US, that's why I don't know how they will be delivered here in the Philippines. Oh, and always just choose the items with free shipping rather than bid on the $0.99 ones because it amounts to the same... and yarn coming from Hong Kong costs slightly higher than ones coming from mainland China. Yes, I have spent hours on their store. You can also just appeal to friends and family abroad to ship to you, or bring you (because they're bulky but actually light), yarn that you order online. You can also avail of services like pobox.ph and Johnny Air where you consolidate your orders and they then ship it to you. 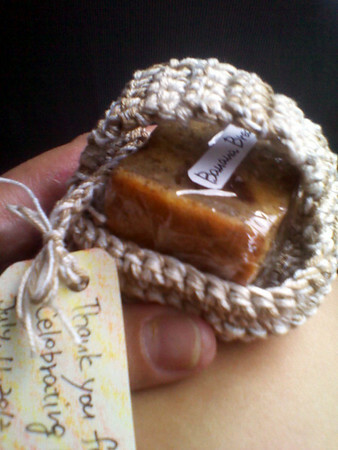 I have heard of a place in Pasig, I think, where yarns are sold in baskets. I've seen pictures. Unfortunately, I think beginners like me need labelled yarns so I know exactly the gauge, recommended hook size and the length of the yarn ball. how are the yarns there? do you know where can i buy felting wool here in manila? I have to say - whoever told you that wool was too hot for children in that climate isn't quite right. Acrylic yarns (and other manmade yarns) do not breathe and you will find that they are much more sweat producing and uncomfortable than real wool (which is worn by sheep all year round regardless of the weather!). Wool breathes! Also - if you get yourself a skein of real wool yarn (and there are wool yarns that aren't exceedingly expensive) you will be so much more satisfied with the feel than with the sticky, pilly, stiff acrylic yarns. If you need mail-order try knitpicks.com. They have inexpensive wool in beautiful colors and weights. Do you know of a class/workshop/tutorial I can attend to know more about knitting? I have tried videos in you tube, but i can't follow them. I thought maybe I need to see it done in person. I am from Quezon City.